Emily set a new UK Under-15 indoor record for 3000m with a stunning performance in Cardiff on Sunday. The 12-year-old Gloucester AC runner smashed her personal best with an amazing time of 9mins 55.71secs at the Welsh Indoor centre to finish third overall in a race against women twice her age. "I was really surprised and I could hardly believe the time," said Pidgeon. "At the start I was hoping to run around 10mins 20secs but I got fastest and faster. I think it was one of my best races ever." It was easily the fastest time ever run by a 12-year-old girl in Britain and carved 35 seconds off the outdoor personal best she ran at Watford during the summer. The performance also rounded off a superb weekend for the David Farrow-coached athlete. 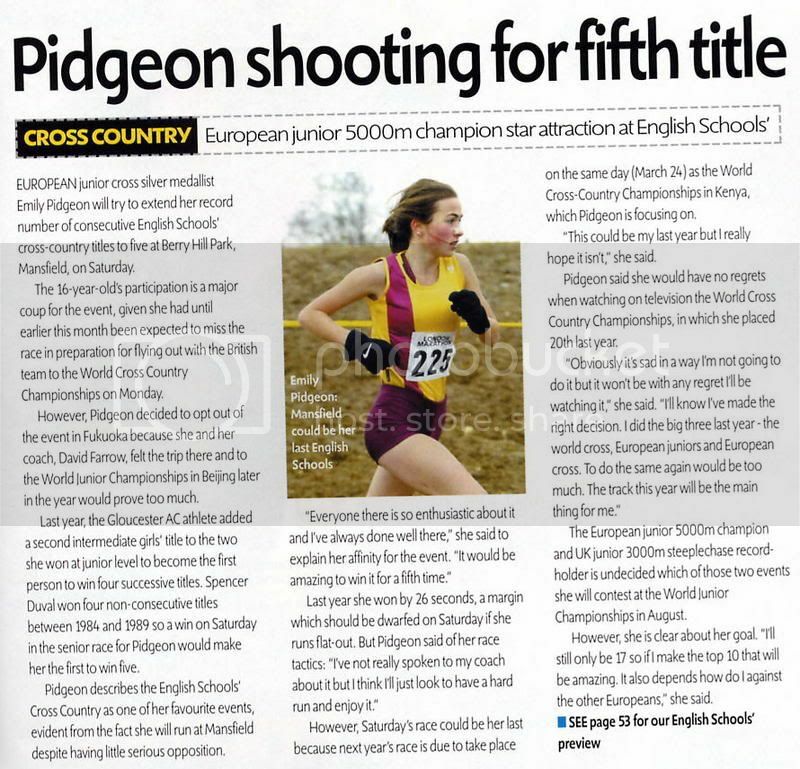 Pidgeon was nominated for the junior category of the National Sports Personality of the Year competition, reaching the last 10 out of over 600 nominations, but did not win the trophy, and on Saturday, she romped to victory in the junior girls' race at the Gloucestershire Schools' Cross Country Championships. BRITAIN'S youngest sports stars of the future are to be honoured by a new BBC television award as part of Sports Personality of the Year. For the first time since the programme's inception on Dec 9, 1954, three teenagers under the age of 16 will rub shoulders with the great and good of British sport, including last year's winner Sir Steven Redgrave, and previous winners and nominees Lennox Lewis, David Beckham and Tim Henman. Ten finalists have been chosen from just under 600 nominations from schools and sports clubs for the Young Sports Personality of the Year award. The 10 will be shortened to a final three on Dec 7, announced on Blue Peter. These include Emily Pidgeon, 12, from Gloucestershire, the national under-13 cross-country champion, with a national age group best time over 1500m, 3,000m, and one mile. 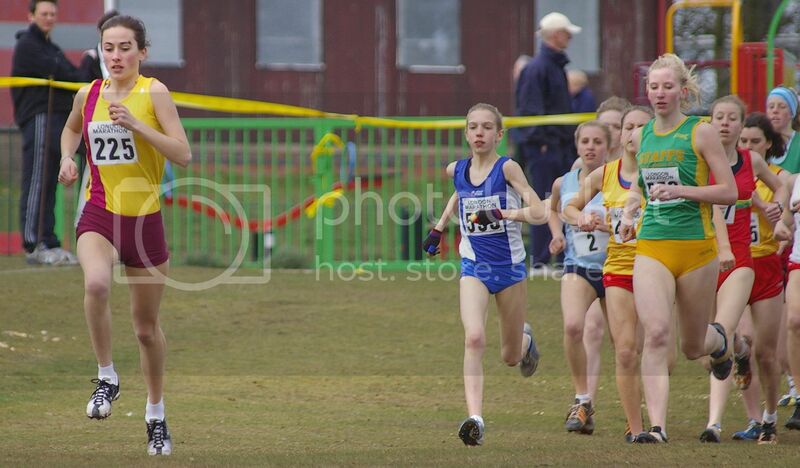 She is also the county under-17 champion at 800m and 1500m. 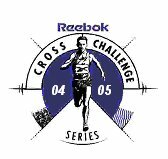 Reebok Cross Challenge Liverpool 1st David Farrow: "It was a very impressive performance,"
February UK Inter-Counties Nottingham U13 1st "Emily led after the first 150m and never saw anyone after that," said her coach David Farrow. "We were delighted but also relieved in some ways because she missed the South West Schools' championships due to illness and she hasn't done much running in the past two weeks. In fact, it was only during the week that we decided she was well enough to run on Saturday." In her television interview after her race, Pidgeon got straight to the point: "I would like to go to the Olympics" she said. February English National XC Ashton Court, Bristol U13 1st "The wind was very strong but I liked the course and I felt really good," said Pidgeon. "I had to restrain Emily," said her coach David Farrow. "She showed a lot of self-control and discipline as well as a great show of front-running in the second half of the race." March English Schools XC Hylands Park, Chelmsford Junior girls "The English Schools' race was the one I really wanted to win this season and I am very pleased,"
Emily Pidgeon set yet another UK record as she recorded a time of 5:05.6 at the Gloucester Mile on Tuesday 10th September, breaking the previous age 13 record of 5:08.1 that had stood since 1982. Pidgeon now holds the mile records at ages 11, 12 and 13. The age 10 best belongs to her training partner Sarah Hopkinson. In the summer she ran the best ever by a British U15 girl and a European age-12 best for 3000m with 9:44.39 in May and in July she then took the bronze medal (4:32.58) in the Junior Girls 1500m at English Schools, after winning her heat. Emily won the Cheltenham Race for life in 2002. In September Emily Pidgeon, 13, travelled from Gloucester to win the girls' Junior Great North Run by over a minute and a half from local entry Mary Ferrier, of Gateshead Harriers. Emily was the 1st girl to finish in the Junior 5 kilometre race, this was for boys and girls up to 16yrs; about 7,000 competitors and Emily came 15th overall. She also won the U15s race at the National 10km, her time 1minute 49secs faster than 2nd place Julia Cooke's. March English Schools XC Stanmer Park, Brighton Junior girls She has only been back in training after a toe injury for the past five weeks and, after a cautious opening, was in the leading group at the end of the first lap. She then took charge, taking the lead on the second hill of the 3,000-metre course, retaining her title in magnificent style by crossing the line a staggering 32 seconds clear of her nearest rival. "Emily has shown enormous patience and discipline with her toe injury and we were both delighted that it has all been justified," said her coach David Farrow. "It is really nice for her to defend her title because not many athletes in the English Schools' Championships manage to do that. "It also helps wipe out missing the other races in the season because this was always the main target and she beat the girl who won the English Under-15s title a few weeks back." June Gloucestershire Schools' Track and Field Championships 800m Junior girls 2:14.2 (CBP, County Schools record) 1st "Basically Emily's time was not only a junior record but also quicker than any time run by an inter or senior girl," said her coach David Farrow. "It was a very pleasing time for Emily." In July Emily became the youngest middle distance runner to represent Great Britain in a track event. She competed in the 3,000 metres in an under-20 triangular meeting at Nove in northern Italy against the national side and a regional team, and came second in a time of nine minutes, 29.34 seconds. The run was all the more remarkable because of events before the race. Emily and her two other British team-mates sharing her hotel room were woken up at 4am by flames that were rising from a fridge in her hotel room. Pidgeon and the girls fled the room to escape the flames and smoke and raised the alarm with the night porter. The hotel management eventually managed to extinguish the fire themselves before Pidgeon was relocated to another room and given a mattress to sleep on the floor. Her coach, David Farrow, said: "It was potentially a very dangerous situation for Emily. Luckily one of the other girls was woken up by the fire otherwise goodness knows what might happened. The girls ran out of the room shouting 'fire, fire' and the management got it under control. Eventually Emily managed to doze off to sleep again at 6.30am but it was hardly the ideal preparation for her British debut." She went on to record her second fastest ever time to finish second behind the Italian number one, five years her senior. "She did exceptionally well and her time was inside the required time for the European junior championships." "She had already done the time, but she'd had only four or five hours' sleep and it was hot," Farrow added. July English Schools 1500m Junior girls 4:27.70 1st Emily stormed her way through the last 400m to both the gold medal, and the 15-year-old Championship record, previously held by Jo Pavey. "We had the record in mind and it was a great run by Emily to break it," said coach David Farrow. "I really enjoyed the race and it was certainly better than last year when I was third," said Pidgeon. "Making my Great Britain debut was great but winning this title was always my target." 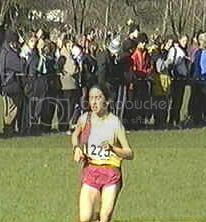 The time was also the second best ever for a British U15 girl. August AAA Don Valley Stadium, Sheffield 1500m U15 4:29.28 "That beat Jo Pavey's record of 4.30.23 so I am very pleased," said Pidgeon. "The Schools was always my number one target and I also ran a better time there, but I am very pleased with both victories," explained Pidgeon. September Flora Light 5km Hyde Park, London 5kmR senior 17.31 14th "It was Emily's first race since taking a holiday so the time wasn't great and she went off a bit too quickly," said coach David Farrow. "But it was a lovely day for her and a great experience to be lining up alongside Paula Radcliffe.". Pidgeon opened her cross country season in style with an victory in the Reebok Challenge at Senneleys Park, Birmingham in 12.12. She dominated the race to win by 33 seconds from Kirsty Hamilton with Danielle Walker third. "It was Emily's first cross country race since the English Schools' Championships last spring," said coach David Farrow. "She led almost from gun to tape and it was a good work-out for her and she now has four wins from four at Birmingham." Read Story: "Pidgeon in line for top award"
Emily Pidgeon defeated athletes five years her senior to win the under-20 event at the Reebok Challenge European Trials in Liverpool. Pidgeon does not celebrate her 15th birthday until June 1 next year. Yet she romped away from 18-year-old Dani Barnes, the European junior 1500m silver medallist, to win by six seconds in 14.28. Pidgeon's mother, Jessica, said her proudest moment was when she watched Emily romp home to victory in under-20 women's race in the Reebok Liverpool Cross Challenge, incorporating the European trials in November. She said: "It was pretty spectacular. It was a big race because she was up against people five years older than her." "In European junior champion Charlotte Dale’s absence, 14-year-old Emily Pidgeon put in a remarkable performance to win, but she has declined selection. Her coach, David Farrow, wishes to avoid asking her to perform at such a high level again within the next few weeks." Former world 10,000m champion Liz McColgan warned against getting carried away with the achievements of Emily Pidgeon. McColgan was massively impressed by Pidgeon's victory, which was unquestionably the performance of the weekend. But McColgan, twice a Commonwealth Games gold medallist and a former London Marathon winner, admitted she had one or two 'reservations' about her achievements. "The girl is obviously a real talent and is pretty amazing. My only reservation is she is so young. I would be more impressed if she is running like this in five years' time," she added, alluding to the fact success is one thing as a youngster, but is more important at an older age." "But," McColgan added, "it is nice to see talented youngsters working so hard and taking their opportunities." Emily won the intermediate girls' race in the Gloucestershire School' Cross-country Championships over Forest trails at Heywood School in Cinderford, and is among the favourites to win the English Schools' championship in March. She opted for these championships over the European Cross-country, in which she would have been a strong contender for the medals. 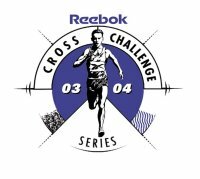 Emily Pidgeon became the first youngster to score Reebok Cross Challenge victories across four age groups (3 of them this season!). She took some time to break the strong resistance of Under 15 Series leader Non Stanford before coming home 16 seconds clear at the Reebok Challenge in Cardiff in a time of 14:11. The two were able to move up from Under 15s because of the different age group rules operated by Schools authorities. She also got athlete of the meeting, as “she won the Under 17s’ race by a fair margin and she beat some class athletes.”. She has had an amazing time this winter, winning the Under 15 race at Birmingham, the Under 20 race at Liverpool (when she was also named Athlete of the Meeting) and now the Under 17 race at Cardiff. The U.K.A. 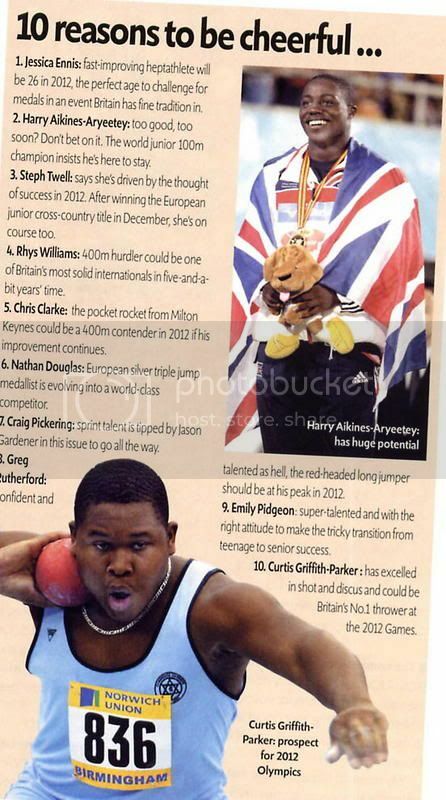 in the wake of the Emily Pidgeon court case have now decreed that U15 girls can run at the higher distance of 3000m. The Emily Pidgeon case was brought by her father against the UKa, for his daughter persistently being refused entry into 3000m races, by entry officials, track referees and other bodies. The result was, he won the case, the UKa, hurriedly went into a huddle and came out with the decision you have above. 1st Feb - Emily (currently) ranks highly in the U17 girls indoor rankings 2004; in second in the 800m with 2:17.19, and 3rd for the U17 and U20 1500m with 4:30.58. 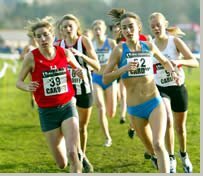 "Emily Pidgeon, pick of the current crop of up and coming athletes in Britain, ran her first senior AAAs and World Trials in Sheffield on Sunday 8th February. The U14 and U15 number one at 3000 metres was the youngest competitor in the Women's 3000 metres race. The ever-improving Jo Pavey will start as favourite, but Pidgeon's star shines brightly and a medal is a real possibility for the 14-year-old who holds the European record for her age group." 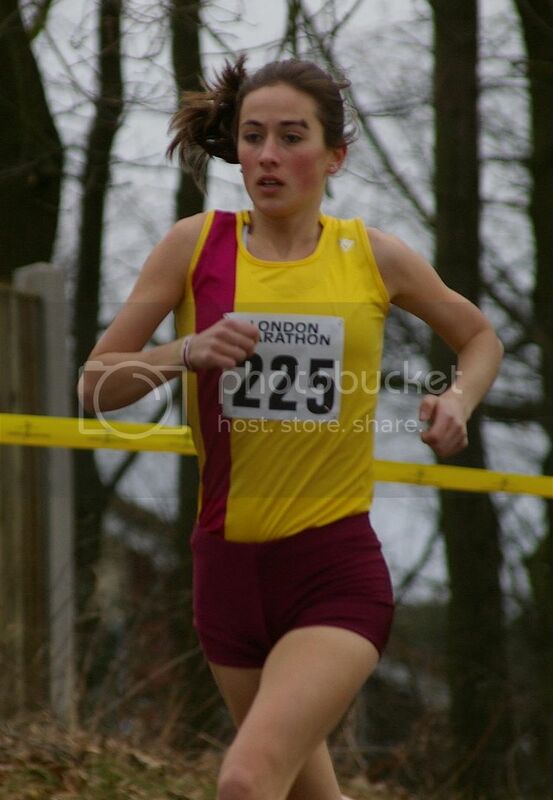 Emily was 5th with a personal best time of 9.34.66, a UK under-17 and under-20 women's record. Pidgeon's time took almost three seconds of Cornish athlete Zoe Jelbert's (Newquay and Par AC) previous best, despite suffering a heavy fall just before halfway. thissisgloucestershire:Her coach, David Farrow, was delighted with the spirit she showed after she collided with another runner and fell on the sixth lap. "Emily collided with an African runner at the end of the sixth lap and went down splat on the track," said coach David Farrow. "She got up pretty quickly and went whizzing back into the race because the adrenalin was flowing," he said. "But the fear with those sorts of incidents is that you use too much energy in getting back into the race and you pay for it later. I definitely think that cost Emily several seconds and she might well have run under nine minutes 30 seconds if she hadn't fallen. It was a fantastic time when you consider she hit the deck and we were all really pleased. It was a real test of character for Emily, especially as she had been suffering with a cold all week." Exceptional performances like that will always provoke envy and coach David Farrow is well aware that there is a whispering campaign that he is running Pidgeon into the ground for short-term success and that he risks burning her out before she turns 18. Farrow dismisses the criticisms as not just totally wide of the mark but also naive to the point of reflecting why this country's elite athletes all too frequently lag behind their global rivals when it comes to the business of winning medals at major championships. "Running the AAA Indoor Championships as a 14-year-old could be a good test for the 2012 Olympics when Emily is 22," said Farrow. "Everything we do with Emily is controlled and balanced, day-by-day, month-by-month and year-by-year." "Emily's progress is dictated by long-term goals and we are working towards making her competitive on a global stage when she reaches 18. That means she must match the best Africans because they are the athletes who are setting the benchmark in athletics." 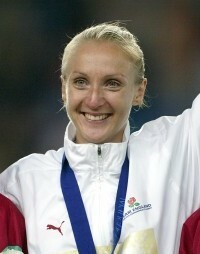 Farrow pointed out that Paula Radcliffe has shown it is possible to take on and beat the Africans and Britain's new generation of young female athletes must not only match Radcliffe's professional approach but also improve upon it as standards continue to rise. "It is no good aiming just to be the best in Britain or even Europe because when someone like Emily is exposed to the global stage the Africans are at another level," added Farrow. "In working towards the goals it is not so much the fact that Emily is leaving her peers behind but that standards in this country are lagging. On a global level Emily is not ahead of the pack at all. It is a tough, feisty sport and for youngsters like Emily who want to follow in Paula's footsteps it is not going to become any easier." Emily Pidgeon set a new UK Age 14 record in a thrilling race in the Junior AAA Indoor Championships in Birmingham. The Gloucester AC junior international was instrumental in making the Under-17s 1500 metres arguably the race of the championships as she cut out the pace from the gun. With two fellow English Schools' champions and track specialists on her heels - Aldershot's Charlotte Browning and Dorchester's Nikki Hamblin - Pidgeon was always going to be up against it over the seven laps. "We knew the other two girls would sit on Emily and use her as a pacemaker and that is exactly what happened," said coach David Farrow. "Emily just couldn't quite push it hard enough in the middle to get rid of them but then again they are 800 or 1500m specialists and Emily has been running cross-country and has only just recently returned from a training spell in South Africa." Browning, aged 16, won in a time of four minutes 29.90 seconds, the fifth fastest on the UK all-time list for Under-17s with 15-year-old Hamblin out-dipping Pidgeon for second in 4:32.41, seventh on the all-time list. Pidgeon was rewarded with a UK Age 14 best of 4:32.67, which is also a new personal best indoors. "She had a go and it proved to be a good learning experience for her," added Farrow. The other two girls were better than her on the day and that's fair enough." 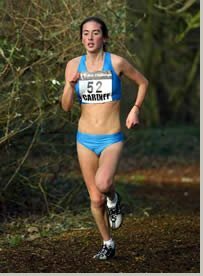 Pre-race: Nottingham: Emily Pidgeon (153) is surely the hottest favourite there has ever been for an Inter-Counties Championship. She finished first in the Under 20 Women’s race at the Reebok Cross Challenge Liverpool in November, but is unable to bid for a repeat because a new IAAF rule is now in force. Rule 141 spells out the definitions that apply to the age groups recognized by the IAAF (pertinent in this case because the Inter-Counties Under 20 races are World Trials). At Reebok Cross Challenge meetings this winter, she has won the Under 15 Girls’ race in Birmingham by 33 seconds and won the Under 17 Women’s race in Cardiff by 16 seconds as well as lead home the Under 20s and Under 17s in Liverpool. In addition, she has turned in some pretty amazing indoor performances, including an age group 3000m record of 9:34.66 among the Seniors at the Norwich Union World Trials and AAA Championships at the English Institute of Sport Arena in Sheffield on 8 February. Emily didn't run at Nottingham, after being told that she could not compete in the U20s age group. Emily had originally intended to take part in Saturday's Under-20s trials race in Nottingham with the aim of finishing in the top four and qualifying for the Great Britain team. Having already stunned the athletics world by winning the European Under-20s trials before Christmas, there was every chance she could have caused another upset against girls up to five years older than herself. "From January 1, it seems the IAAF have tightened up their rules in the junior age group so that the athletes must be aged from 16 from 19 to take part," explained Pidgeon's coach, David Farrow. "With Emily being only 14, that means she cannot take part and has been told she would have to run the Under-15s race. We don't think it is worthwhile going to the Inter Counties so we'll save her for the English Schools Championships in Maidstone the following week." IAAF spokesman Nick Davies said the rule change has been implemented to protect young athletes. "We want to protect young athletes from possible mental and physical burn-out," said Davies. "The IAAF believes that it is healthier for young athletes to evolve into international competitors in a gradual fashion rather than taking on seniors when they are 14 or even 13 years' old." Farrow points out that the IAAF rule is aimed at stopping youngsters competing against senior athletes. "All Emily wants is to race against junior athletes and has more than proved she is capable of doing that," added Farrow. "It is just a shame that this new rule has restricted our choice of where we want to race." 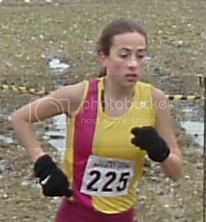 To make up for the disappointment at not being able to run in the British Junior Women's Under 20 trials for the World cross country championships Emily Pidgeon ran in the Italian ones instead! Coach David Farrow found the alternative race and, at the last minute, he secured an entry to the Italian Championships, which were being held in conjunction with the Cinque Mulini race near Milan. "It was only confirmed very late that Emily could take part," said Farrow. "This is a top class event that has attracted some of the world's best runners for years - people like Steve Ovett, Seb Coe, Lasse Viren, Brendan Foster and all the top Kenyans have run in the men's race. This year it also incorporated the Italian trials for the World Championships so it was guaranteed a good field." But not good enough to trouble Pidgeon, who romped to an emphatic victory by 47 seconds over the 6km course in 20:38 over second placed Caterina Coppola. NB: Two of the girls in the top three in Saturday's British trials - runner-up Katrina Wootton and third-placed Claire Holme - were well beaten by Pidgeon in the European trials in Liverpool last November. Pre-race: English Schools, Kent: Emily Pidgeon will start favourite for the inter-girls race but will be reminded by coach David Farrow that medals are not awarded for simply turning up. "There will be a couple of good girls there so Emily will have a race on her hands," said Farrow. Emily won the Inter Girls' race for the third time in succession at English Schools in Maidstone, Kent, by a margin of 37 seconds, the most impressive win of the day. The rare hat-trick was her first success in the inter-girls age group and added to her triumphs in the junior girls' age group in 2002 and 2003. "I was really pleased to win the race and it was good to make it a hat-trick," said Pidgeon. "I was definitely fired up to win and I took the lead early on. I did not want to sit around and wait but no-one followed me which was a bit disappointing." 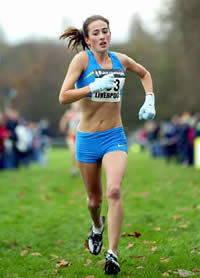 Pidgeon said the victory rated second to her success in the European Championships Under-20s trials race at Liverpool before Christmas. On top of this, Emily Pidgeon has been selected to represent England in the British Schools International next month. Pre-race British Schools: Emily will finish her season by running for England against Northern Ireland, Scotland and Wales at the British Schools cross Country Championships in Ayr on Saturday, April 3. She has never run at the competition, despite being selected in the past. Pidgeon had been looking forward to the Scottish trip after English Schools. "I'm really looking forward to running in Ayr with Sarah. It will be nice to go away together," said Pidgeon. Emily Pidgeon has withdrawn from the British Schools' cross country championships in Ayr, Scotland, on Saturday. The 14-year-old Gloucester AC runner is suffering from a flu virus so is not well enough to take her place in the England intermediate girls' team. "Emily has been in bed for a few days so she cannot run this weekend," said coach David Farrow. "It is a real shame and it means her cross country season is now over." Pidgeon earned her place in the team after winning the English Schools' title in Maidstone and would have started favourite to lift the British title as well. Pidgeon's withdrawal will be equally disappointing for her Gloucester clubmate and training partner Sarah Hopkinson, who will be representing England in the junior girls' race and the pair were eagerly looking forward to making the trip to Scotland. Emily Pidgeon will open her 2004 track season in next Monday's British Milers' Club PB Classic meeting in Millfield, Somerset. Pidgeon and the other athletes in the David Farrow coaching group traditionally use this high-quality meeting to mark the start of the new campaign. Reigning English Schools' 1500m champion Pidgeon will tackle the 3000m but coach Farrow is cautious about her prospects after her cross country season was brought to a premature end with a nasty attack of flu. "It forced Emily to take to her bed for a while and she was on antibiotics to finally clear it up," said Farrow. "She is training now but is not where we would expect her to be at this stage of the season having lost a few weeks. But that is the nature of the sport and time is on her side. She should be back to full fitness for the major championships in July and August." For the 14-year-old Gloucester AC international those main targets will be the English Schools Championships in Gateshead on July 9-10 and the AAA Under-17s and Under-15s Championships at Birmingham on August 7-8. 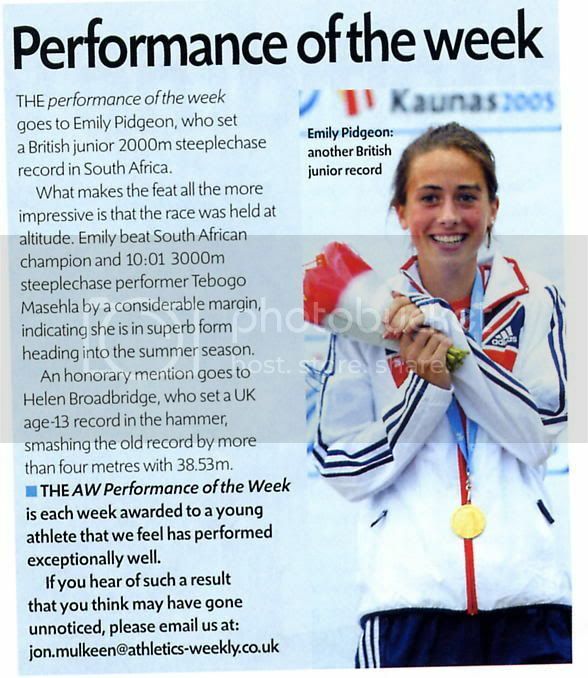 "Emily will also be looking to improve all her personal bests from 800m to 3000m," added Farrow. Unfortunately Pidgeon has been precluded from bidding to qualify for the Great Britain team to take part in the World Junior Championships following a rule change that states athletes must be 18 in the year of competition. Nonetheless, it will be interesting to see whether Pidgeon can get close to the World Juniors qualifying time of nine minutes 20 seconds. Her current personal best is 9:28.7. Emily Pidgeon opened the 2004 summer in superb style by setting a new UK Age record in the British Milers' Club PB Classic at Somerset's Millfield School. The Gloucester AC runner, took full advantage of the conditions and the good competition in Monday (3rd May) night's meeting to set a personal best at 3000m. Lining up for the 3000m, Pidgeon knew she was going to be in for a hot race with Welsh rival Non Stanford in the field and so it proved as the pair were paced around the seven-and-a-half laps by Steve Mosley. When it came to the crunch, Pidgeon proved the stronger and she crossed the line in a time of nine minutes 23.77 seconds, a New UK Age 14 and 15 record and just outside the European Age best, and taking five seconds off Pidgeon's previous best for 3000m. "It was a really hard-fought race with Non Stanford and Emily really had to fight hard to beat her," said Farrow. "She just opened a chink with 600 metres to go and that was enough." For the second time in four days Emily Pidgeon has re-written the track history books. 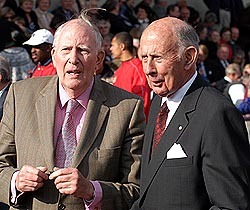 Her latest exploits took place in front of one of the legends of British athletics, Sir Roger Bannister. Gloucester AC runner Pidgeon set a new European Age best times in Thursday (6th May) night's Under-20s mile race, which was held at the meeting staged to celebrate the 50th anniversary of Bannister's ground-breaking first sub-four minute mile. On the same Iffley Road track in Oxford - now a modern all-weather surface compared to the cinders in 1954 - Pidgeon won the Under-20s race in a time of four minutes 50.68 seconds. Welsh rival Non Stanford, who 14-year-old Pidgeon beat over 3,000m on Monday night, was again second with Hannah England third. "Emily's time was a new British and European Age 14 record," said proud coach David Farrow. Emily was presented with a special commemorative medal to celebrate the Bannister mile by Diane Leather, who, 23 days after Bannister’s feat, became the first woman to run a mile in under five minutes. “I read about it on the way here in the car, and it made me want to do it myself,” Pidgeon said. She also spoke to Bannister. Emily won the Tewkesbury half-marathon fun run the following Saturday, making it 3 wins in 6 days for the Gloucester AC runner. 21st May - The Gloucestershire AAA championships at the Prince of Wales Stadium produced some fine performances. They included an European age best in the under-15 girls' 800 metres. Gloucester Athletics Club's Emily Pidgeon, who lives in Shurdington and is a pupil at Cheltenham College, and Sarah Hopkinson ran in the same race. Hopkinson, 12, shadowed her clubmate all the way round before falling back slightly over the final 100. Her time of two minutes, 13.9 seconds was a new stadium age group record and an European age 12 record. Pidgeon's winning time of two mins, 12.4secs was a new stadium under-17 record. Gloucester athlete Emily Pidgeon clocked a superb time of 16mins 24.38secs in the senior women's 5,000m at the British Milers' Club in Birmingham as she celebrated her debut over the distance with a record-breaking time of 16:24.28, shaming many of Britain's leading senior runners with her fifth place performance in a high quality field. "I really enjoyed it," said Pidgeon afterwards, not at all distressed by her efforts. "It seemed much shorter than I expected. I felt really strong. I did it for a bit of fun." The time was well inside the qualifying standard of 16:30 for the World Junior Championships in Italy but the rules prevent Pidgeon from taking part as she is too young. But coach Farrow stressed that Pidgeon will be sticking to the 1500m for the rest of the season as she concentrates on the English Schools' and AAA Championships. Emily was second in the 1500m race at the British Milers Club meeting in Watford on 13th June in 4:24.9, a faster time than she won the English Schools Track and Field Championships in last year. Emily set a personal best of 14.7 over 100m, which she ran for speedwork, at the Worcester Open meeting on Tuesday [15th June] evening. She then ran the 800m, but could only manage a time of 2:17.1, having been caught out by the fast start. 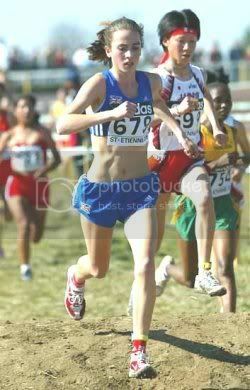 She went on to set a league record in the Avon League race in Yate with a time of 4:25.5 over 1500m. Pre-race, English Schools Inter Girls' 3,000m: Cheltenham College pupil Emily Pidgeon is the favourite to win the girls' 3,000 metres at under-17 level. Pidgeon holds the best age group times in the country in both the 3,000m and 5,000m. Her best time for the 3,000m is nine minutes, 23.77 seconds. Gloucestershire's Emily Pidgeon stepped up to the intermediate girls' 3000m and proved a class above her rivals as she raced clear in the early stages and remained unchallenged, winning at leisure from Avon's Steph Barnes in 9mins 57.96secs, over half a minute away from what she has run already this season. Such are the high expectations surrounding Gloucester AC's Pidgeon that no-one was surprised by her victory, although hampered by illness it could all have gone very wrong. However, afterwards Farrow revealed that Pidgeon was not well and had it been any other race she may well have withdrawn. "Emily came down with an infection just a few days before the championship but was determined to run," said Farrow. "She certainly wasn't at her best in the race and will now have a well-earned rest." Cheltenham College's Emily Pidgeon claimed another national record. 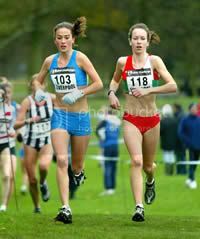 She competed in the women's 2,000m steeplechase as a guest in the Dorset championships at Poole. 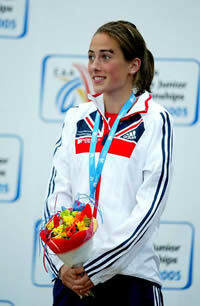 Her winning time of seven minutes, 22.8 seconds was the fastest yet by a British under-17 girl. Pre-race: GLOUCESTER AC's English Schools' champion Emily Pidgeon makes the short trip down the M5 for the Bristol Year of Sport mile road races on Saturday. Staged as a warm-up for Sunday's half marathon, the mile races will be held on a traffic free circuit around College Green in front of the Council House. Emily Pidgeon opened her winter season with a course record in the Bristol Year of Sport/British Milers Club Road Races. On a tight five-lap, traffic-free course next to the Cathedral in Bristol City centre, the 15-year-old Gloucester Athletic Club runner quickly stamped her authority on the small field. Pidgeon was soon out on her own and in what virtually amounted to a solo time trial, she covered the mile in a new Under-17s record time of five minutes and 16 seconds. "I'm very pleased with that as it is my first race for a while," said Pidgeon. Her track season fizzled out due to illness after winning the English Schools title and she then took a break from running while on holiday. But she looked fresh and full of running on Saturday and is clearly full of enthusiasm for the coming cross-country season. "I will be running some of the Reebok races and then the Under-20s trials for the European cross-country championships before Christmas," added Pidgeon. Pidgeon's triumph was one of three victories for the David Farrow training group. Gloucester Ac members were prominent at the Nike British Milers Club Four Kilometre Cross-country Classic held on Clifton Downs, Bristol. The combined senior girls and Under-20s women's race proved fascinating as Emily Pidgeon was chasing her own course record of 14:04 over the four kilometres. After spending two laps in a lead group of four, including Gloucester AC's Kate Goodhead, she made her move on the third one- kilometre lap and quickly opened up a large gap to come home in a new course record of 13:59. The battle for second raged over the last two laps between Goodhead and Clevedon AC's Stephanie Barnes, with both continually swapping the lead. Barnes won the sprint finish to claim second overall in 14:24, leaving Goodhead to take third in 14:27, but finishing as first Under-20. Pre-race: Even if Emily Pidgeon regains the joint under 20 and under 17s title at Parliament Hills, the 15-year-old Gloucester Athletic Club runner will not be leading the British junior team in Germany, as Pidgeon will not be selected as she is considered too young. "While it is frustrating that Emily cannot earn the right to be picked for the team, we've decided there is no reason why she shouldn't run," said Farrow. "She has recovered from winning the British milers' Club race last Sunday. We would not be going unless Emily could prove a point. "The pressure will be on the other girls to beat her and if she makes the top six then it will be another illustration that she is good enough to represent her country in this age group." Emily Pidgeon won the joint under 20 and under 17s race at the Reebok Cross Challenge race at Parliament Hills, London in devastating style for the second year running. Pidgeon held off a fierce mid-race challenge from Claire Holme of Ipswich to win by five seconds.Her victory was one of four medals won by Farrow's training group. "I felt really strong and was really pleased to have won," said Emily. She was disappointed at not having her victory properly recognised but Reebok Series coordinator Cliff Robinson explained they had to abide by the rules and, at 15, Pidgeon was too young to compete in the European junior championships so could not count in the junior trial. "Emily was not running for a place in the GB team whereas most of the other girls were really revved up for that," said her coach David Farrow. "It was a very hard race for Emily and she ran very bravely. I am very proud of her." "It is very frustrating that this option has been taken away from Emily," said coach David Farrow. Claire Holme (Ipswich) was awarded the junior title despite finishing five seconds behind Pidgeon. Although she admits she prefers hills the Birmingham University physiotherapy student said she found parts of the course difficult to run over because her back was pulling as she ran down some of the slopes. Emily Pidgeon was expected to run away with the Intermediate Girls' Gloucestershire Schools cross-country championships at Hartpury College, but withdrew from the race after a thigh injury flared up during her warm-up. Emily Pidgeon's last minute decision to run in the UWIC/BMC Indoor meeting at the weekend was rewarded with yet another UK record. The 15-year-old Gloucester AC runner tore around the tight indoor track in Cardiff to clock a personal best time of nine minutes 19.31 seconds for 3000m. It not only earned her victory over top Welsh senior Catherine Dugdale but was a new UK Under-17 indoor and outdoor record. 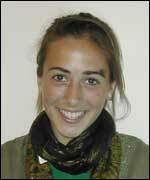 It also put Pidgeon fourth on the UK Under-20 list that is still headed by Olympic runner Zola Budd. But mere stats do not do full justice to Pidgeon's effort particularly as she has not been training for the event because her main focus is on the cross country season. "Emily's run was particularly pleasing as we did not ease down at all and only decided on Friday that we would race in Cardiff," said coach David Farrow. "Emily hadn't raced since the European cross country trials in London [which she won but was too young to earn selection for the Europeans] but she trained well over Christmas so I decided to let her have a go. "Emily was delighted as she is in the middle of training for the cross country season and yet she showed great speed in the last 400m when she sprinted away from Dugdale." Dugdale clocked a personal best time of 9:22.50 while a distant third was Pidgeon's Gloucester AC team-mate and training partner Sarah Hopkinson. Among their rivals in St Galmier will be Kenya’s 16-year-old Jebichi Yator, the World Junior Women’s 3000m Champion. Her winning time in Grosseto was 8:59.80. Pidgeon was the fastest of this Norwich Union GB Junior Team last summer, clocking 9:23.77 in a mixed race, and has accelerated to 9:19.51 this winter. Emily Pidgeon (Gloucester AC) surpassed even her own high expectations in her first World Cross Country Championships on Saturday 19 March, taking 20th place on a scorching day at the St Galmier course in France and missing the distinction of being first European home by the closest of margins. The 15-year-old Cheltenham schoolgirl, who was ruled too young to take part in last year’s European Cross Country Championships despite having won the Trials, had targeted a place in the top 35 for her first experience of a major international event, but she did even better on an afternoon when many runners were badly affected by temperatures that rose to 27 degrees, finishing half a stride behind the fast-finishing Russian, Victoria Ivanova, in 22 minutes 15 seconds. The highlight of the day, was the confident performance of the schoolgirl who first indicated her enormous potential by winning the European Cross Country Junior Trials of 2003 as a 14-year-old. Pidgeon, coached by David Farrow, revealed afterwards that Paula Radcliffe, who chose not to run here in order to concentrate on her preparations for the Flora London Marathon, sent her a text message of encouragement from her training base in Albuquerque. “The message said ‘’best of luck, relax and enjoy it’ – and it was really fun,” said Pidgeon, who added that she had taken a tip out of Radcliffe’s autobiography by pouring a bottle of water over the back of her neck just before the start. “The first two laps weren’t nearly as hard as I thought,” she said. “And the last one was only as hard as I thought the first one would be. I kept pushing on, and I was so pleased with where I finished. Pidgeon finished with the same time as the Russian who headed her on the line. “I was a bit annoyed about that,” she said, adding that she had not been aware of Ivanova until she saw her at the line. Ethiopia’s Gelete Burika Bati finished well clear in the three-lap, 6152m race in a time of 20:12. Kenya, with four finishers in the first six, took the team title for the seventh successive time, with Norwich Union Great Britain and Northern Ireland finishing as leading Europeans in eighth place. She followed that breaking the British junior record for 2000m steeplechase on a trip to South Africa. BMC, Milfield - Arguably the most exciting and high quality race of the evening was the Women’s 1500m A race, featuring just some of the teenage talents who are confidently expected to beat the UK Athletics qualifying standard of 4:20.00 for the European Junior Championships before the official Trials take place at the Norwich Union AAA Under 20 and Under 23 Championships at Bedford on 2-3 July. Emily Pidgeon (Gloucester AC), who is not 16 until next month, took off with three laps to go and built an imposing lead before being dramatically caught in the final 20 metres. Danielle Christmas crossed the line first in 4:25.16, just outside her current PB. Another Under 20, Carolyn Plateau (Radley Ladies) snatched second in 4:25.53. Pidgeon was third in 4:25.59 with yet another Under 20 from Kelly’s Camp, Hannah England (Oxford City) fourth in 4:26.16. 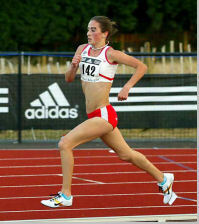 BMC, Manchester: Emily won the Women's 5000m A race in a time of 16:04.46. Pre-race: 1500m (4:20.00): While the amazing Emily Pidgeon (Gloucester) is expected to aim for the 5000m in Kaunas, she inevitably dominates the rankings all through the distances. She is European Juniors No.1 at 1500m has gone three seconds quicker this season than MacLarty, who is second in the UK rankings and fourth in Europe with 4:20.97. To underline the growing UK strength, Abby Westley is seventh in Europe with 4:21.99 – and then there are Kelly’s Campers entering the fray Charlotte Browning (Aldershot, Farnham and District), Danielle Christmas (Crawley), Hannah England (Oxford City), the Euro Juniors 3000m rankings leader Non Stanford (Swansea), Danielle Walker (Royal Sutton Coldfield) and Marrakech-bound Sian Edwards (Kettering). She took 20 seconds off her UK U17 5000m record when she won in Manchester in May in 16:04.46, over 5 secs off her 1500m best with 4:19.65 and showed improved speed to win the Midland U17 800m title in 2:11.1. With Britain currently engulfed in Olympic fever after the London's successful bid to host the 2012 games, the focus now shifts to the future stars of athletics who will represent our country at the event. 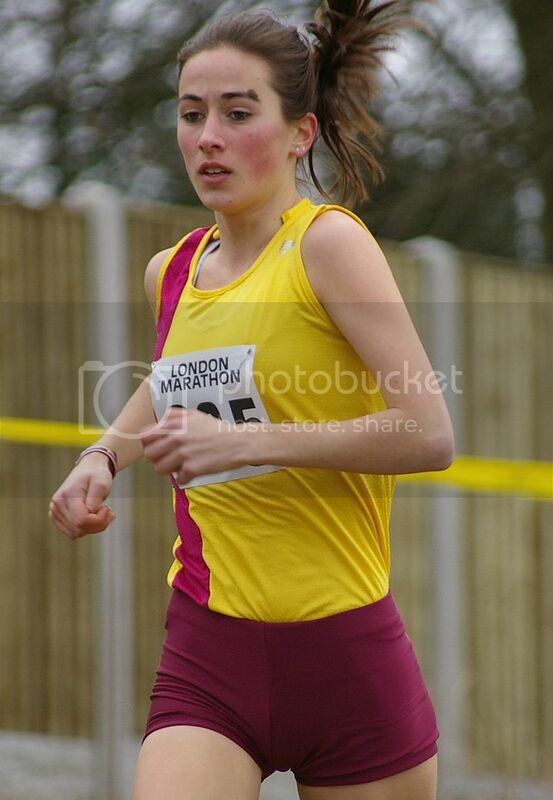 16 year old Emily Pidgeon, from Shurdington in Gloucestershire, could well be one of our Olympic hopefuls at London 2012 if she continues to mature as a middle distance runner. What does it mean to you, a young athlete, to have the Olympic games here in this country? It's absolutely amazing, for it to be in my home country is amazing. I watched the Commonwealth Games, which was in Manchester, and seeing all the crowd support, listening to them sing the national anthem - I'd love that to happen for me. That's my ultimate goal. If it's London, with the crowd behind me, the motivation would be so great. Well I'm not sure about Beijing because I'll only be 18 so I might be a bit young but definitely London 2012. That would probably be the perfect year for me and maybe the one after that. London would probably be the best year for my career. At 16 how do you look ahead to your career and who works with you? My coach David Farrow does most of that for me but we don't look too far ahead. We just plan the year as it comes and then we see what happens. If I do really well I do a few more races or if I'm doing not so well then we focus on the training. We only plan the year ahead - we don't plan too far ahead because I'm only young! And you've just finished your GCSEs haven't you? I've just done nine GCSEs and they went quite well. How've you managed to revise and keep training as well? My Mum locked me up in my room just to make sure I got the hours in but it all fitted in quite well so hopefully I'll have done okay. The training went well too so it's all going well this year. So what inspired you to get into running? 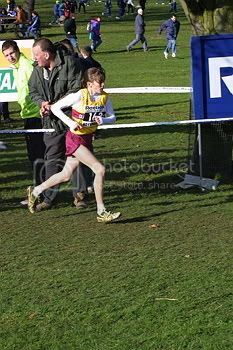 When I was in Year Three I started running for the Richard Pates School cross country team in the Cheltenham Primary Schools cross country. I came about 50th in that - this was against up to Year Six. David, my coach, saw that I was determined to do well and he liked that quality so he asked me to come and train with him. I did one session, absolutely loved it and carried on. You were spotted at an early age but what do you think can be done to get more young people interested in sports? I think it needs to be encouraged in schools because not many schools focus on sport, particularly athletics. I think sport would need to be a big centrepiece in schools, I think that way children would become more interested and would hopefully take up more sports. If your school doesn't do much sport then you've got no way to get into it. Let's talk about your year so far. It's gone very well in the cross country hasn't it? Yes it did. I did lots of domestic races and they all went very well. Then I did the world cross in March in France and came 20th. That was very, very good. What did you get out of that experience that you can take on into the rest of your career? I'd never raced Africans before so that was a big experience, racing them. My sport is dominated by Africans and they're very hard to beat. You have to put in a lot of hard work to beat them. What's your next target then? My main aim of this season is the European Juniors, which is in Lithuania, and I'll be doing the 5,000 metres there. I'm very excited about that. That's at the end of July. We're talking about your events here, you've done the 3,000m, 5,000m and the steeple chase - why the steeple chase? I've always liked to try new things and the steeple chase is always fun. I love the 3,000m but it isn't an Olympic distance and the only way to do it is to do the steeple chase. I've always loved it because I like doing obstacle courses and things. So to jump over the barrier is always fun. It's really just to keep my options open for the future. What would be the event you eventually look towards? Probably the longer distances because I think I'm better at those ones. So maybe the 5,000m and 10,000m. But at the moment I'm keeping my options open with lots of different distances but ultimately I think the 10,000m. What about the marathon one day? Well ... hmm, I'm hoping not to try that! I think it would be a good experience. I'm hoping to do the London Marathon, I think that would be amazing, but I'm not sure about doing it seriously. A lot of people do give you this label as the 'new Paula Radcliffe' or the 'Paula in waiting', how do you cope with that level of expectation and pressure? Luckily I've never really let the pressure get to me. It's very flattering being called the 'new Paula Radcliffe' but it's a bit of a high expectation to live up to. I haven't let the pressure get to me too much so that's good. How do you decide on a career because, in sport, you never know with injuries. Have you got a reserve plan? To be honest I haven't really thought about it at all. I've no idea. You haven't got a burning ambition to be a doctor or a journalist or something like that? I'd love to be on the television, to do commentating like Sue Barker - that would be really good. Shurdington athlete Emily Pidgeon is ready to compete at the European Junior Championships after illness. She flew out to Lithuania with the Great Britain squad two days ago ahead of her 5,000 metres race tomorrow, which is scheduled to start at 4.45 BST. Pidgeon saw her preparations disrupted by a bout of gastroenteritis and coach David Farrow said it was unclear whether she could produce her best at the championships after being forced to withdraw from the 3,000 metres at the English Schools' Athletics Association track and field championships in Birmingham two weeks ago. "She's picked up well and there was no question of her not going out," he said. "We just won't know for sure how well she's recovered until she has to dig deep and find that last per cent against high-class competition." The 16-year-old's main rival tomorrow looks likely to be Russian Viktoriya Kharitonova, who has achieved a marginally better time over 5,000m. The 18-year-old Kharitonova has run 16 minutes, 4.41 seconds, while Pidgeon's best time is 16 minutes, 4.46 seconds. Another possible danger among the 16 entries is Azra Eminovic, of Serbia and Montenegro, with a best time of 16 minutes, 5.38 seconds. Farrow said the championships, for under-20 athletes, would form an important part of the season for Pidgeon. He said: "It's the big one of the summer and it's the biggest track competition she's done. It's not been ideal preparation for her, but that's sport." UKA: 16-year-old Emily Pidgeon (Gloucester AC) – the youngest member of this Team but by no means the ‘baby’ of it – confessed beforehand to feeling “frightened and excited.” After all, she had sacrificed the chance to run against athletes closer to her own age in last week’s IAAF World Youth Championships because she and her coach, David Farrow, considered the 5000m was her best distance and there wasn’t one in Marrakech. She was warming-up in the forests over-looking the stadium, feeling nervous and apprehensive about her first major track championship, when “I got another motive to run well. As I was running through the forest, I heard the National Anthem playing for the 100m boys. Incredibly, she added: “I had no plan.” Instinct truly was golden! They did. Kudelich took Tatyana Azorkina (Russia) and Emily through 3km in 9:56.35. Azorkina led through 4km in 13:07.95. Long before then, it was obvious nobody else was going to be in with a chance of a medal. Indeed, Kudelich fell off the pace with 1200m to go and was to finished third in 16:33.07, a creditable PB in the conditions. Azorkina, whose PB is 16:18.32, continued to lead and one was reminded of the manner in which Russia’s Rybakov twins had taken off 800m from home to win both the Men’s 5000m and 10,000m at last week’s European Under 23 Championships, Surely the tactic that defeated Mo Farah in Erfurt would not befall Emily as well? Not a chance! Azorkina tried to push on as she passed the 2-to-go lap marker but Emily stayed on her heels. And with 550m left, on the crown of the bend beside the water jump she would doubtless have taken in her firm and flowing stride if necessary, Emily struck. Indeed it was: five metres at the bell became 20 metres down the back straight became 30 metres by the line. Her winning time of 16:14.71 gave her an advantage of 4.11 seconds over the gallant Azorkina. “I hooked all my season on this race,” Emily said. In the process, she etched a place in GB athletics history almost as indelible as the 100m trio. She is the first GB Gold medallist in the Women’s 5000m, though Collette Fagan (in 2001) and Charlotte Dale (2003) both won Bronze medals. She is the first GB endurance runner to win a Women’s Gold medal at these Championships, though Paula Radcliffe (in the 3000m in 1991) is among the athletes who have striven mightily for the honour. She joins a select band of only 11 GN female athletes to win European Junior track and field titles. Her predecessors are Helen Golden (200m in 1970), Sonia Lannaman (100m in 1973), Fatima Whitbread (javelin, 1979), Fiona May (long jump, 1987), Donna Fraser (400m in 1991), Keri Maddox (100m hurdles in 1991), Oluyinka Idowu (long jump in 1991), Katharine Merry (200m in 1993), Diane Allahgreen (100m hurdles in 1993) and Vernicha James (200m in 2001). Gloucester Athletic Club's Emily Pidgeon shrugged off a recent bout of food poisoning to produce a wonderfully mature performance and take the gold medal in the women's 5,000m at the European Junior Championships in Kaunas, Lithuania last night. The 16-year-old (pictured right) competing against athletes up to three years older, kicked away from her main rival, the Russian Tatyana Azorkina, to win by almost four seconds in 16:14.71. An elated Emily, who trains at Gloucester's Black Bridge track, with coach David Farrow, said: "I felt really great. I am shocked, really, really shocked. "It wasn't the plan at all to go with 550 metres to go. "I just felt so good I thought I would go then. I looked up on the big screen (in the stadium) and saw I was about ten metres ahead. "This has been the aim all year." Yet, only two-and-a-half weeks earlier, she had been laid low for five days by an untimely bout of food poisoning, missed the English Schools' Championships and also lost an important chunk of her preparation time for her European test. On a wet day, the rain finally abated and the sun came out for the start of the 5000m, a 12-and-a-half lap race, where it was expected Pidgeon, the youngest member of the British team, would face strong opposition from the three Russian athletes. The early pace was shared between Azorkina and Svetlana Kudelich of Belarus and Pidgeon, the UK junior steeplechase record-holder, also took her brief turn at the front in the first half of the race. Azorkina launched her victory assault with just under 2,000m to go and only the Gloucester AC athlete could match the Russian's pace and the pair were in a straight fight for the gold medal. But the decisive moment in the race came with 550 metres to go as Emily could wait no longer and eased ahead of the Russian, opening up a five metre lead by the bell. By the back straight that advantage had doubled and she took victory in 16:14.71. Emily's father, Stephen, who is a direct marketing agent at Target Direct in Cheltenham, wiped a tear of joy away at Emily's victory. He said: "I'm so proud. She ran such a powerful race. She's awesome, really fantastic." Farrow added: "We had a period when Emily was ill for five days and lost a couple of kilos in weight. "That meant I didn't want her to go (in the lead) from too far out. "I was hoping she would win. "Emily had a lot of expectation on her. I'm relieved and pleased." European Junior 5000m Champion Emily Pidgeon is aiming to complete a hat-trick of European Trials victories at the UK Cross Challenge meeting in Liverpool’s Sefton Park on Saturday 26 November. The difference this time is that victory will give the super-charged 16-year-old a perfect send-off to the European Cross Country Championships to be staged in Tilburg, Netherlands, on Sunday 11 December. For on the previous two occasions she led home the Junior Women’s fields, she was too young to be selected in Norwich Union Great Britain and Northern Ireland Teams that went on to win European Champs Gold medals in 2003 and Silver medals last year. And she will be the overwhelming favourite even though the field includes European Junior 1500m Champion Morag MacLarty (Central AAC), who won at the Birmingham Cross Challenge at the start of this month and was last weekend named Scotland’s Athlete of the Year; in-form Nicola Sykes, who set a course record in leading Bedford and County AC to victory at the ECCA Relays Championships a fortnight ago; and several members of the squad being mentored by Olympic double Champion Dame Kelly Holmes including Charlotte Browning (Aldershot, Farnham and District), Dani Christmas (Crawley), Sian Edwards (Kettering), Hannah England (Oxford) and Non Stanford (Swansea Harriers). For this year, the first in which she was old enough to compete on the international stage, Pidgeon was the second European finisher in the Junior Women’s race at the IAAF World Cross Country Championships last March; won the 5000m with powerful ease at the European Junior Championships in July; and ended the track season ranked first among European teenage women at 5000m, second at 3000m and third at 3000m steeplechase. Emily Pidgeon won the Under 20 Women's race at the UK in Liverpool. 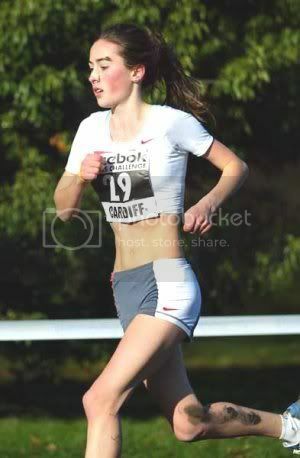 11.00: Junior Women (U20 at 31.12.06) and Senior Girls (schools) 5km – Pidgeon (Gloucester AC) has truly taken flight since winning, among many others, the Under 13 Girls’ race at Cardiff as recently as 2002. 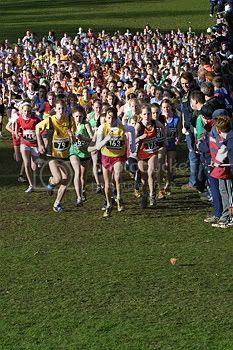 If her rapid progress to 2005 European Junior 5000m Champion and European Junior Cross Country Silver medallist is not sufficient inspiration for the schoolchildren gathering for their races, then maybe the sight of Non Stanford (Swansea Harriers) in her county schools team will catch their imagination. For Non – who was second to Emily in that Under 13 Girls’ race three years ago – spent last weekend at the Lisbon Junior International in Portugal, where she completed a Norwich Union GB 1-2-3 in the Junior Women’s race. Also in the Cardiff field are two more of the Norwich Union GB Junior Women who won the Team Gold medals at the European Cross Country Championships in Tilburg last month, Sian Edwards (Kettering Town Harriers) and Nicola Sykes (Bedford and County). And the lure of the Cross Challenge is evidenced by Scottish Champion Siobhan Coleman (Pitreavie) making the long flight south in search of a little more quality competition. Emily Pidgeon raced up two age groups to win the Senior Women's race at the UK in Cardiff. 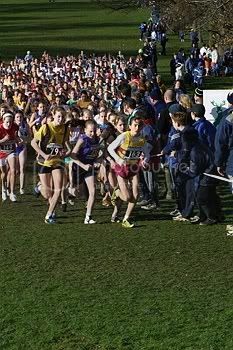 Only four years after winning the Under 13 Girls’ race at the Reebok Cross Challenge in Cardiff, 16-year-old Emily Pidgeon (Gloucester AC) continued her rapid rise through the endurance ranks by triumphing in the Senior Women’s 6km at the UK Cross Challenge meeting in Blackweir Park, Cardiff, on Sunday 22 January. She broke away from English National Cross Country Bronze medallist Hattie Dean (Hallamshire Harriers Sheffield just after halfway and won in 19:46. Dean was second in 19:54 with Challenge Series leader Kate Ramsey (Charnwood AC) third in 20:09; recent Norwich Union GB Junior international Claire Holme (Ipswich) fourth in 20:14; Norwich Union GB Under 23 international Laura Kenney (Royal Sutton Coldfield) fifth in 20:21; veteran Wendy Jones (Cirencester) sixth in 20:29; six-times Welsh long course Champion Catherine Dugdale (Swansea) seventh in 20:47; Gemma Turtle (Shaftesbury Barnet) eighth in 20:50 with a positive run on her move out of the Junior ranks; Clare Martin (Wells City) ninth in 21:31; and Courtney Birch (Oxford University) tenth in 21:42. Teenager Emily Pidgeon finished second in her race to lead the Norwich Union Great Britain junior side to victory. She finished two seconds behind Romania's Ancuta Bobocel with Morag MacLarty sixth, Stephanie Twell seventh and Sian Edwards 15th to secure team honours. "The best is to come" said Pidgeon. "I'm aged 16 and I finished second. I am already looking forward to a a re-match next year". Emily Pidgeon, the 16-year-old European Junior 5000m Champion, took another milestone in her stride today by leading home the Brits in the senior women’s race Cinque Mulini IAAF permit cross country meeting in San Vittore Olona, Italy. In her first international-standard senior race, the Gloucester AC star was fifth in 21 minutes 16 seconds – finishing well clear of England team mates Hattie Dean (Hallamshire Harriers Sheffield), who was seventh in 21:35, and Kate Ramsey (Charnwood), the newly-crowned Midland Champion who finished eighth in 21:37. By coincidence, these were also the two athletes who got closest to Pidgeon when she won at Cardiff last month on her UK Cross Challenge senior debut. The 6km race was won in 20:43 by Aniko Kalovics (Hungary), who was fifth in the senior race at this winter’s European Cross Country Championships in Tilburg, where Pidgeon finished second in the junior race. Pidgeon found herself isolated from the leading group and often making her own pace with fellow junior Sian Edwards (Kettering) close by watching her every move. Pidgeon dropped Edwards in the last mile and strode away to stop the clock at 15:41.00 to go second on the UK all time lists. As Zola Budd's former world record is the only one ahead, Pidgeon's mark was the best ever by a British born junior and smashed the UK age 17 record. 'One pacemaker was too fast, the other too slow so I just tried to run the right pace myself and I felt really good. I knew Sian was there so I upped the pace in the last few laps, and still felt strong at the end,' said Pidgeon. Sian Edwards went third on the UK junior all time lists with her big PB of 15:50.69, also well inside the Beijing qualifying mark of 16:00. Like most 16-year-olds, Emily Pidgeon has strong opinions about what music should be playing in her family car. As her mother Jessica guided the Pidgeons' 4x4 with practised ease through the bustle of Cheltenham's town centre recently, her daughter leant forward and selected the favoured CD track of the moment - Christina Aguilera's "Fighter". It is an appropriate choice right now for the young athlete who appears one of the likeliest candidates to fill the gap which will be left once Paula Radcliffe, whose medium-term plans are taken up with pregnancy, retires from the sport. Ever since Pidgeon emerged as a 14-year-old to win the 2003 European cross-country trials against established internationals five years older - her coach, David Farrow, describes this as her "here I am" moment - British athletics has been on notice that this is a prodigious performer. Nothing has happened since to detract from that. Last year Pidgeon finished 21st in her first attempt at the World Junior Cross-Country Championships, again facing runners four years her senior, and was beaten by one place to the distinction of being the first European. She then won the European Junior 5,000 metres title, and followed it up in December with second place at the European junior cross-country championships. This season she appears set to contest her first World Junior Championships, in Beijing next month, where she has qualification times in four events. But her entry for this weekend's Norwich Union European Championships trials in Manchester leaves open the possibility that she might seek to make an impact at senior level this summer if she does well enough in tomorrow's 5,000m. Pidgeon and her coach will make a late decision on her participation at Manchester after assessing the toll taken on her last weekend, when she won her eighth English Schools title. Either way, she remains one of this country's most precious sporting assets, a steadily achieving athlete who can look towards the 2008 Beijing Olympics, and the 2012 London Games beyond them, with a justifiable sense of excitement. Radcliffe herself acknowledged as much last year, when Pidgeon was chosen as her first athlete of the month, earning a training grant of £1,000. That gesture of support was repeated earlier this year, when Radcliffe - who is in email contact with the Cheltenham College schoolgirl - provided another training grant to the tune of £2,000.81p. 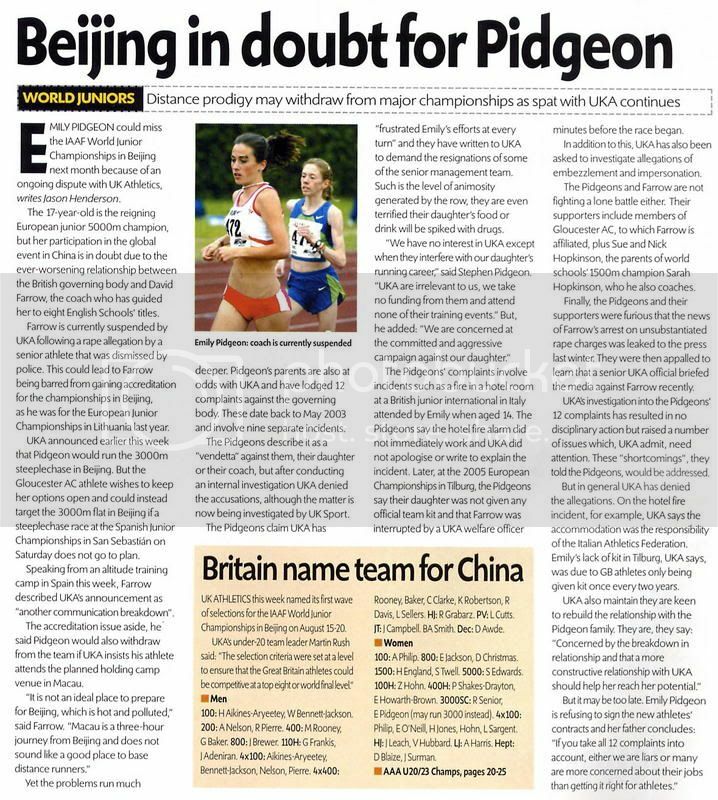 It is perhaps as well Pidgeon has friends in high places, since - like Radcliffe - she has yet to sign the new central contracts that UK Athletics has sent out to 187 of its leading performers. And unlike the world marathon champion, who is due to meet UKA's performance director Dave Collins to discuss the position next week, Pidgeon will definitely not be putting pen to paper and signing on the dotted line. The contracts - 160 of which were already signed by the first deadline of 28 June - require athletes to make six annual appearances on behalf of UKA and also cover media appearances. Athletes will have to be available to compete in the European Cup, the major championships of a particular year, such as Olympics, worlds, Europeans, and the annual trials, and the major indoor championships, such as world or European. Other elements contained in the UKA initiative, which has to be carried out for athletics to qualify for government funding through UK Sport, include measures to standardise athlete-coach relationships, requiring individual training programmes to be agreed with UKA performance staff. There is also a clause requiring athletes not to make "derogatory or offensive" comments about their governing body or sporting competitors. From the UKA point of view, it is an attempt to regulate a notoriously variable and quirky sport with a view to improving general levels of performance. The emphasis is on pooling ideas for the common good. The realpolitik, however, is stark. Athletes who do not sign will not be eligible for Lottery funding, and will not be paid to compete in the domestic sport's big televised meetings, although they will still be eligible to represent their country. From the point of view of some athletes and coaches, it is a heavy-handed, meddling document which is attempting to wrest control of competitors from their individual coaches. Pidgeon's father, Stephen, has outlined his objections in a forthright letter to Athletics Weekly, and Farrow has been equally outspoken in his comments. "This is a one-size-fits-all approach, and it is not appropriate for a sport that has produced such individual performers as Steve Ovett, Seb Coe, Daley Thompson and Paula Radcliffe," Farrow said. "None of them have gone down the established route. "I see this as an assault on the athlete-coach relationship. This contract actually seeks to fracture that link. I believe this sport should be athlete-centred, coach-led and backed up by UKA in the form of support services. UKA talks about centring the sport on athletes, but they don't walk the walk. "If the contract is so attractive, why have penalties for not signing it? That speaks volumes, surely? I also disagree with its view on intellectual property. If I have some coaching ideas for my athlete, why should they be handed over for inspection? "UKA believe they are in the position where they have the power to judge everything. It really is 'We know best'. But who is in the best position to judge what is best for Emily: UKA, or her parents and her coach? Their attitude is very arrogant." Collins does not concur. "The idea that these contracts seek to break up athletes and coaches - I'm sorry, that's a nonsense," he said. "It offers substantial financial support and incentives, as well as medical expertise. Is it a controlling contract? It is about partnership. It is about trying to help and advise people to perform better. "But if we find coaches working in a less than optimum fashion, then yes, it is a controlling contract in that it is the responsibility of the programme to try and make things better. And quite justifiably so, because we are effectively working with public money. I believe the best coaches in the world believe in openly sharing ideas as they seek best practice. "Many other sports working within the Lottery programme, such as swimming, rowing, cycling and sailing, have already introduced athlete agreements along these lines, and I haven't heard too many protests about that. It may be that the whingeing over these contracts is almost a sign of some of the malaise we have in the sport." Collins robustly defends UKA's right to decide if an athlete's chosen course of action is acceptable. "If Alex Ferguson thinks something is reasonable at Manchester United, then I think it's reasonable," he said. "If David Brailsford, as director of performance for cycling, thinks something is reasonable, it is reasonable. "This isn't a controlling contract, it is a very supportive contract. But if you are incompetent, it is a controlling contract." Immediately, however, Collins stresses that there is no suggestion that Pidgeon, or her coach, are remotely incompetent. "Emily has clearly been performing to a consistently high level," he said. "I would be happy to sit down with her and her coach to discuss any particular issues they may have." Any attempts at concord between the two parties are complicated, however, by the fact that Farrow has had his coaching licence suspended for almost a year following allegations that he had raped a senior athlete, something he has always denied. Gloucestershire Police announced in December that they were taking no further action, but UKA has maintained its suspension as it conducts a standard inquiry which is being carried out by its welfare department, addressing the question of whether Farrow is a suitable person to be a coach. The process looks likely to go on for several more months. And although Farrow - who has had strong support both from his club, Gloucester AC, and Pidgeon's family - is effectively coaching as before, it is hardly an ideal position for anyone concerned. Pidgeon, who has just completed AS levels in Latin, French, Maths and PE, has more testing times ahead of her. But she is tough, strongly supported and very capable of carrying out her ambitions - perhaps with those Aguilera lyrics running through her head: "It makes me that much stronger, makes me work a little bit harder, it makes me that much wiser, so thank you for making me a Fighter." 'Fighter' is written by Christina Aguilera and Scott Storch, and published by RCA. Pre-race: Emily Pidgeon (Gloucester AC), the reigning European Junior 5000m champion now coached by UK Athletics Senior Performance Manager for Endurance Alan Storey, faces five athletes who are faster on paper, much as in Kaunas two years ago. Emily Pidgeon (Gloucester AC), the defending 5000m champion, opened the Norwich Union Great Britain and Northern Ireland team’s medal account at the 19th European Junior Championships in Hengelo, Netherlands, on Friday evening, 20 July. Towards the sullen, humid end of a dramatic day interrupted for 1 hour 40 minutes by a fierce thunderstorm, Pidgeon took the 5000m bronze medal in 16:31.30. It was not a twin for the gold she won two years ago in Kaunas, Lithuania. But it was probably a better run given that she had been struggling with a cold ever since landing in Hengelo on Monday evening. “Today’s the first day this week that I have not had a headache,” said the 18-year-old, whose preparations were also interrupted by the A-level exams that will earn her a place at Loughborough University in the autumn. She was with the leaders to halfway but said: “It was hard. It was hot and humid. We were praying for the rain to come back because it cools down the body temperature. Pidgeon’s time was 16:31.30 while the medals went to 19-year-olds Natalya Popkova (Russia) in 16:08.95 and Ingunn Opsal (Norway) in 16:14.59.